they didnt get the reference.. This thread proves...the man liked orange. I agree, he liked many colors, but I think this thread does prove that orange was a consistent color for him throughout his career - along with periods/phases where he focused on certain colors or patterns. Go to the "my Org" under Acct. settings on the left. Hit "Forums"" there. (the fourth one down) Follow the instructions there. I think that should do it. Oh yeah, not too many MB on the size of your Avatar, keep it to 25, I think. Wow! That would blow your mind to see that at the mall. Yeah, my thoughts exactly. I think the board on the pillar behind him says "Charities". It could be anywhere. OP....tell! Maybe Mall Of America?? I remember walking around that concrete monster in 1998 when I was in St Paul for work. Crazy to se a mini amusement park inside a mall. The roller coaster was fun though. Oh, OK. Sure looked Mall-ish though. Have always love that jacket of his. Seahorsie said: I wonder which mall??! My gosh, she was right. On the new videos out in The One U Wanna C he has on orange pants, in Fury everything is orange, and in Te Amo Corazon in some shots he has on an orangish tunic! Well, that settles it, LOL. Pretty sure he posted this on the org (maybe with an assistant? or Tyka herself?) years before he passed. That his favorite color was orange? It's an easy color to live with right? It's neutral, natural, nature. A sunset. If I put it in my bedroom it's Rainbow Sherbert. Yum. Love these pics! The video is bright and fun. Orange definitely looked great on him! I think I love him wearing orange more than wearing purple. 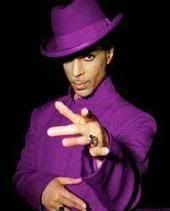 Prince was an impeccable dresser, though he hardly seems to have committed to any one color more than purple, at least in terms of his iconography. Orange? A simple Google search for "Prince wearing red" can yield multiple examples of him in that color throughout his career. Same with green & any number of other colors.